The McGaw YMCA offers a friendly and supportive working environment, with many opportunities for professional growth. A list of current employment opportunities is included below. The McGaw YMCA is an Equal Employment Opportunity and Affirmative Action Employer. 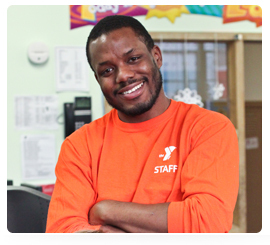 Want to work at YMCA this summer? We are always looking for enthusiastic staff to join our team. Join the McGaw YMCA summer staff team! Work outside, meet new people, and play with kids while helping them learn about caring, honesty, respect and responsibility. Camp is an experience of a lifetime!